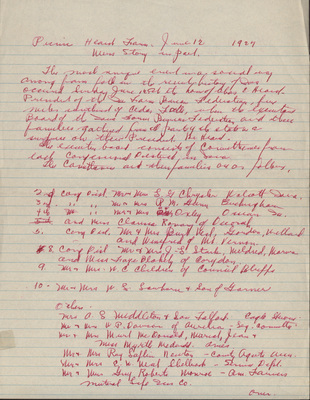 "Picnic, Hearst Farm, June 12, 1927, notes page 1"
"Picnic, Hearst Farm, June 12, 1927, notes page 1" (2019). James Hearst Photographs. 55.